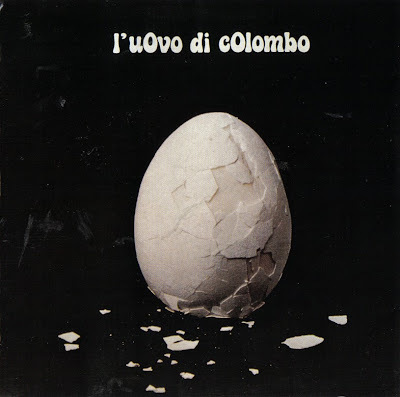 Based in Rome, L'Uovo di Colombo was another of those bands that just made an album without their record company support, so the band disappeared soon after the album release. Enzo Volpini and Ruggero Stefani had previously played together in I Fholks with future members of Reale Accademia di Musica, while Elio Volpini had been a member of Flea (on the Honey). L'Uovo di Colombo is a great album, with the very good voice of Toni Gionta (his real surname was Tartarini and he was later the singer with Cherry Five) backed by a keyboard/bass/drums trio in perfect Le Orme style with occasional use of acoustic and electric guitar. The solid rhythm section and competent keyboard playing give the album a very high quality and the eight tracks are all perfectly enjoyable. Two album tracks were also released as a single, the opening track, L'indecisione and the instrumental guitar-driven Turba, but with no success. Among the other album tracks, a mention for Consiglio, with keyboards in evidence and a very good vocal part. After the band's demise, drummer Ruggero Stefani joined Samadhi, then Mediterraneo and Gli Alunni del Sole. Elio Volpini went back to his old cohorts of Flea to form the jazz-rock outfit Etna. As said before, singer Gionta changed his name to Tony Tartarini and was briefly involved in Cherry Five.